Tasmania's global connections include some which might surprise many who call it home. 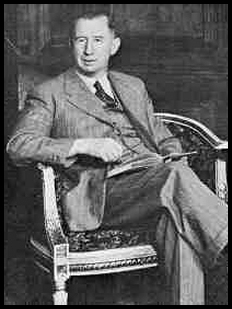 Most would recognise the name Nevil Shute, twentieth-century British engineer/novelist who spun such highly readable yarns as "In the Wet", "A Town Like Alice", "The Far Country" and "Beyond the Black Stump" (all set in Australia) to mention the hugely confronting post-nuclear war novel "On the Beach". Then there's "The Rainbow and the Rose", set in Tasmania's remote west coast wilderness, featuring such places as Recherche Bay, Lewis River, Mt. Osmond, Maatsuyker Island, D'Entrecasteaux Channel, Southport and the Huon Valley, where the story's young doctor had grown up on his father's fruit farm. Written from Shute's home near the City of Melbourne (originally founded by John Pascoe Fawkner aboard his schooner "Enterprize"), the book's central character is named Johnnie Pascoe ! Shute, chagrined by post-war U.K. politics and enamoured of Australia, emigrated with his family, spending the final twelve years of his life on Victoria's Mornington Peninsula. In researching his novels, he travelled extensively, seeking adventure, new frontiers and examples of average people extending themselves in far-from-average pursuits. "The Rainbow and the Rose" was written after Shute's 1953 visit to Port Davey, sailing in aboard Sir Guy Wyatt's yacht "Saona" to visit Deny King (Tasmania's 'King of the Wilderness') and family at Melaleuca. Tasmanians reading the book would have no trouble believing the King family's remote mining settlement provided his inspiration. Their adventurous spirit, embracing hardship as a way of life, epitomized the ideal setting for the story, both in location and lifestyle. My husband Chris and I, ardent Shute fans for over 50 years, have in our home library at least one copy of every book he's written, even naming our home-built timber gaff cutter "An Old Captivity" after one of them. Reading about her in a sailing magazine, a Canadian couple (members of the international Nevil Shute Society), suspecting we might be Shute fans, suggested the society, who were planning a Nevil Shute conference in Australia in 2001, should invite us to attend, asking us to tell the story of building and naming our boat !. What a week ! We met Shute devotees from all over the world, gained insight into our favourite author, seeing where he'd lived, worked, sailed and written for twelve years. We combined the trip with our first look at Tasmania, to visit family. A second visit convinced us to retire here, escaping the Queensland/New South Wales border area's humid heat. Once re-settled in 2003, we set out to research for the Nevil Shute Society Tasmanian connections in "The Rainbow and the Rose" and were intrigued by a series of remarkable synchronous occurrences. Our first new friends, met through the Port Cygnet Sailing Club, were a retired doctor and his wife from Geeveston. Interestingly, he'd been in university with one of Nevil Shute's daughters ! Through him, we joined Hobart's Wooden Boat Guild and were again asked to tell the story of building our boat. Naturally, the Shute connection was mentioned, to explain her name, and afterwards a fellow member approached us with some interesting comments about "The Rainbow and the Rose". He, also a Shute fan, said the fictitious town of Buxton was actually Sheffield, where he'd once worked, close to Smithton's little airstrip, so accurately described by Shute. At a subsequent guild meeting, having enjoyed reading "King of the Wilderness", we were introduced to a member's guest, Mary King, Deny's daughter. Remembering from the book that Shute, on returning to London, had sent each of Deny's daughters a gimballed kerosene lamp in appreciation of the family's hospitality at Port Davey, we asked Mary about it. She still has her lamp ! Chris enrolled in drawing lessons through Adult Education, and who should be his teacher but Deny's younger daughter Janet Fenton. She also still has her lamp. We subsequently attended a fascinating evening session, Janet's "The Magic of Melaleuca", gaining insight into the setting that had so inspired the great author. The following year, guild member and Shute fan Bill Foster borrowed "The Rainbow and the Rose", a title he hadn't read. On returning it he pointed out several additional Tasmanian connections. He felt the story's flight engineer Billy Monkhouse was modelled on Bill Vincent, a pilot at the Smithton airstrip. He also said Shute's character Rhys-Davids, a pilot instructor in Hobart, was undoubtedly based on the late Lloyd Jones, chief instructor at the Hobart Aero Club, whose daughter said he'd delighted in the fact that Nevil Shute wrote the book around him. Also, Shute described a propeller mounted over Johnnie Pascoe's mantelpiece. Deny King's home, Melaleuca, has a bent propeller over the fireplace! Hoping to meet him, we were saddened to learn Lloyd Jones had died in August 2004, but on chatting with two of his daughters, we learnt more fascinating coincidences. Their father had actually flown Nevil Shute around Tasmania's wilderness areas on several occasions in the 1950s. Not only had Shute sent him an autographed copy of "The Rainbow and the Rose", but had written him a letter apologising for not consulting him before writing the book, since he'd mentioned him in it under another name ! Rosemary then showed us a newspaper article about her father which described one of his more well-known mercy flights. In 1953 he'd flown to an island off Tasmania, landing on a beach in conditions so hazardous all commercial aircraft were grounded, to rescue a seriously ill young boy - a scenario remarkably similar to Shute's setting on the Lewis River! Then began a search for "Saona", the 1936 40-foot Charles Lucas centreboard ketch that had taken Shute around to Port Davey in 1953; the society was curious to know if she was still afloat. A report in the weekly Huon News listed results of Kettering's Sunday yacht race. A yacht named "Saona" had placed; owned by B. Marris. A quick phone call confirmed that Ben Marris' "Saona" had indeed once belonged to Sir Guy Wyatt ! An hour later we were aboard the immaculately-maintained classic, chatting over a cuppa with Ben. He too was a Shute fan who hadn't read "The Rainbow and the Rose" and was intrigued to learn the author had been aboard his yacht. Of course we lent him the book. Now thoroughly convinced of the Port Davey connection, we felt one further enquiry was called for, so contacted Shute's daughter Heather in the U.S. and received final confirmation. Heather said, "I'm sure you're right that Port Davey is the place where Dad set "Rainbow and the Rose". He was very fond of the Port Davey area and talked of it quite a bit." Our quest was ended. A remarkable series of serendipitous events had established a firm 'Rainbow Connection' between author Nevil Shute and Tasmania - a story well worth sharing.